You'll be £4.99 closer to your next £10.00 credit when you purchase Wellington in India. What's this? The author of this account, the late John 'Jac' Weller (1913-94), first won renown as an American football player for Princeton University in the mid-1930s. After graduating he went into business. At the same time he pursued his life-long interest in firearms and military history. 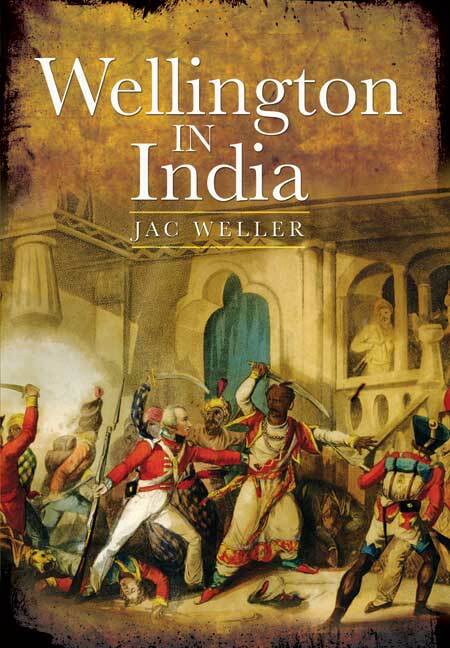 His publications include Weapons and Tactics: Hastings to Berlin and a trilogy on Arthur Wellesley: Wellington in the Peninsula, 1808-1818, Wellington at Waterloo and finally this volume on his earlier campaigns in India. It is a mark of its readability that Wellington in India has been reprinted three times, most recently by Pen & Sword. For the benefit of the armchair military enthusiast he included nearly fifty black-and-white photographs of sites, fortifications and weaponry. In addition he supported the text with helpful maps and informative appendices on such topics as ordnance and British military organisation and tactics.